Beaded Berries: A pliable beaded wire that can be altered with ink. Add some dimension and sparkle to your next mixed media project! 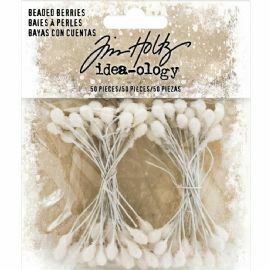 This 3.5x4 inch package contains forty-eight beaded berries.